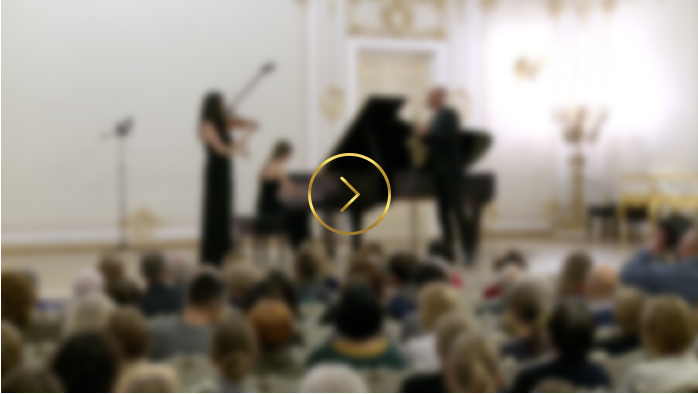 We happily present two live videos from our latest concert in Musikverein Vienna. We started the evening with „La Création du Monde“ by Darius Milhaud in an arrangement for Trio Klavis by our very own Miha Ferk. He is also the composer of the last piece of the concert, „Traubensaft aka Bach in the Balkans“. Find the german version and photos here. We had the pleasure of playing two concerts at the renowned festival „Kissinger Sommer“ in Bad Kissingen, Germany after which we received wonderful press reviews. „(…) In Dmitri Shostakovich’s Piano Trio No. 1 Op. 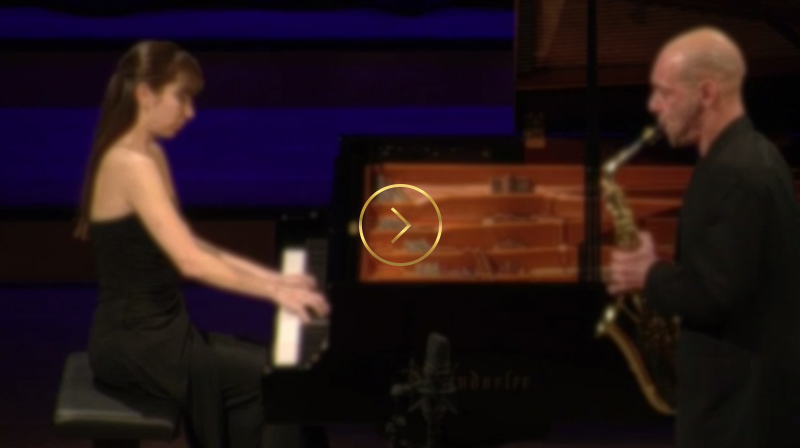 8 Miha Ferk simply replaced the cello by the saxophone, achieving an astonishing effect. The great variability of the wind instrument’s sound brings out the passion of a young man’s first love much better. (…)"
"(...) Spätestens bei Brahms' Horntrio op. 40 im Rossini-Saal wurde deutlich, was für fantastische Musiker die drei sind. Sie spielten mit einem unglaublichen Zugriff aufeinander zu - es standen ja auch keine Pulte zwischen ihnen - und lieferten eine unendlich spannende Verdichtung dieser romantischen, gerne zelebrierten Musik mit neuen Aspekten. Der olle Brahms hätte seine helle Freude gehabt. Man sollte die drei jungen Leute unbedingt auf dem Radar behalten. 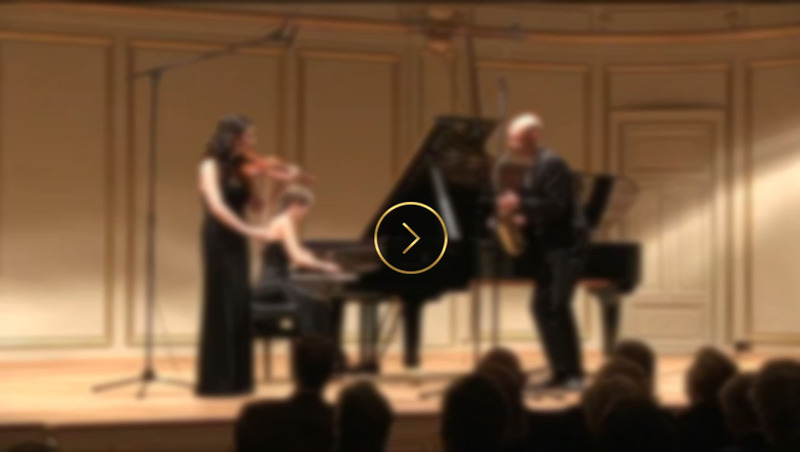 (…)"
"(…) At the latest during Brahms’s Horn Trio Op. 40 in the Rossini hall it became clear what fantastic musicians those three are. They played towards each other with incredible interaction - there where no music stands between them either - and showed an immensely fascinating density of this romantic, otherwise often traditionalised, music with new aspects. Good old Brahms would have been delighted. 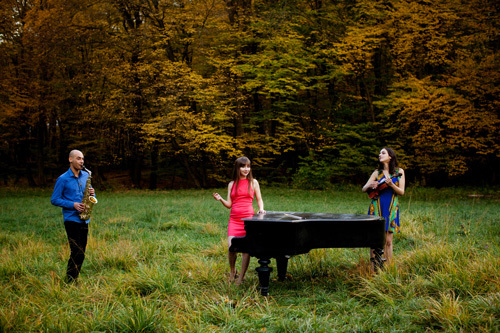 One should definitely keep these three young musicians on the radar. (…)"
Before the end of 2017 we visited the OMÜ International Music Festival at the Black Sea in the city of Samsun, Turkey. 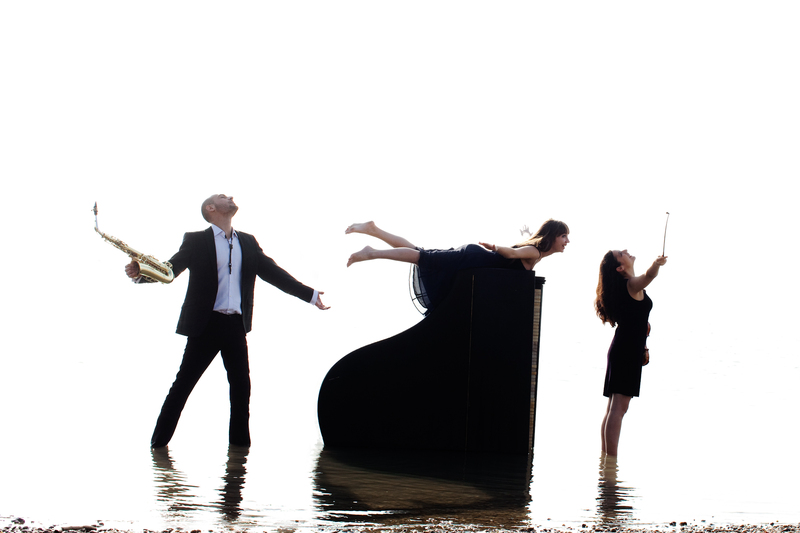 The festival, hosted by the Ondokuz Mayis University of Samsun, featured alternative chamber music projects and offered free workshops and concerts by local and international ensembles. We were received with a very warm welcome by the staff and a lot of interest from the students of the University. Our journey was made even more enjoyable by the fact that we traveled together with our dear friends „Die Wandervögel“, a folk group from Vienna, who were also part of the festival. On the 14th of December 2017 we had the opportunity to curate a concert for the innovative concert series „Mosaique“. We feel so grateful towards all the truly special musicians who joined forces with us on the 14th of December 2017 to create a breathtaking evening. Big thanks to stunning Melanie Henley-Heyn, wonderful Nicholas Spanos, marvelous Sheng-Fang Chiu, gorgeous Nora Romanoff-Schwarzberg, alluring Yu Horiuchi and fascinating Hyung-ki Joo for your love and devotion to music, and for being your extraordinary selves! 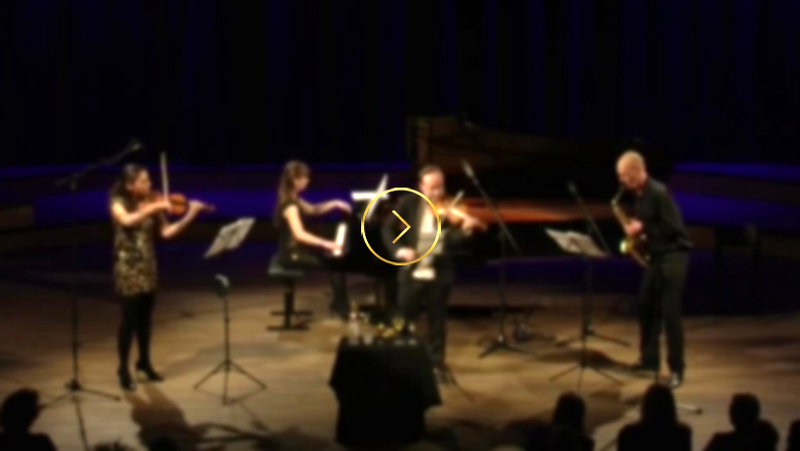 We’d like to share a live video from our concert in St. Petersburg last year. Michael Haydns Divertimento was originally written for 2 violins and bass, later published under Joseph Haydn’s name and in the 20th century a piano score was added by the edition. We love this piece and its misterious history makes it even more dear to us. We feel incredibly fortunate to have been part of one of the most colorful festivals in the world, the „HIFA Harare International Festival of Arts“ in Zimbabwe. Bringing art forms of all kinds together, it has become one of the most important festivals in Africa. 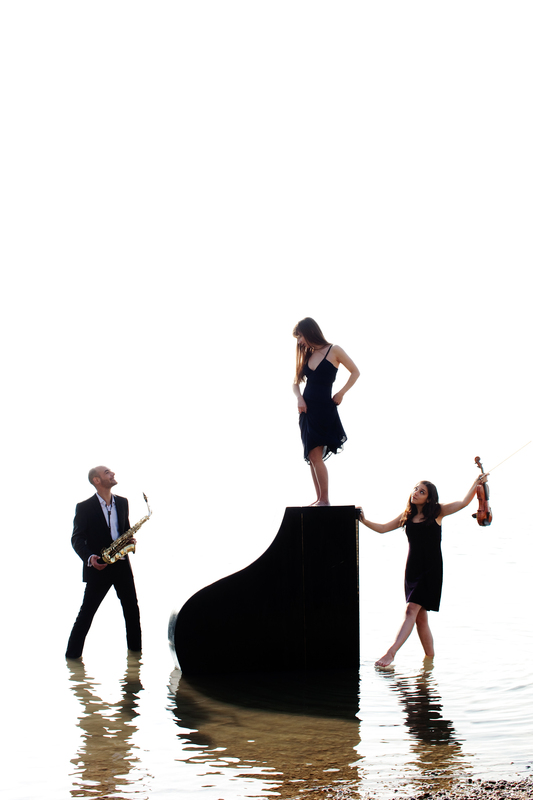 We played two sold out concerts and also had the pleasure of giving masterclasses for piano, violin and saxophone. But we didn’t just teach, we ourselves learned a great deal from local musicians and artists. This April we had our first tour to China, playing concerts in Nanjing, Changsha and Dalian. It was a great experience to visit the Asian continent, we are looking forward to many more opportunities. In this concert season, we played our debut in the world-renowned concert hall Tonhalle Zurich. 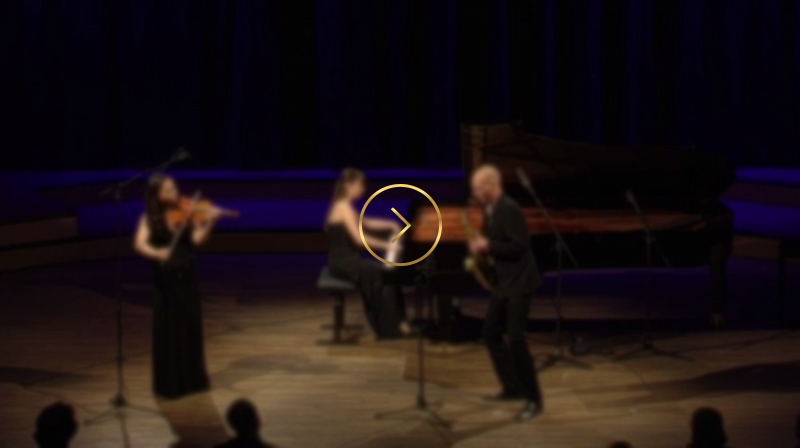 In our program, there were two compositions to be found in versions no other ensemble ever performed until now. Trio nr. 1 op. 8 by Dmitri Shostakovich, the cello part was replaced by alto saxophone, and the world premiere of the contemporary composition Mikroncerto IIIb, composed by Richard Dubugnon and dedicated to our ensemble. We are proud to present you live recordings of both! We are glad to present our brand new music video with the exciting piece „Mad for Seven“ by Hyung-ki Joo! This video shoot took place in July 2016 in Vienna and after careful post production our little film is finally ready. Many Sevens are coming your way and you can even briefly spot the composer himself! Geography of Sound - our debut CD is out! We are so happy to present you our debut CD, “Geography of Sound”. We worked on it heartily and had some amazing people’s support on the way. Sharing it with everyone is a dream coming true. What a happy time for us! Our “S” Miha’s homeland is the next destination for us to conquer. We are very excited to play in Velenje in April, which will mark our Slovenian Debut. This will be followed by a revisit shortly after, with a concert in Koper in May. Counting days to play for the audience of this beautiful country. The one and only Aleksey Igudesman sacrificed himself for an experiment with us. Miha's new piece "Happy Hour" is a medley of music around the world, and the travel is led by traditional beverages of each country! 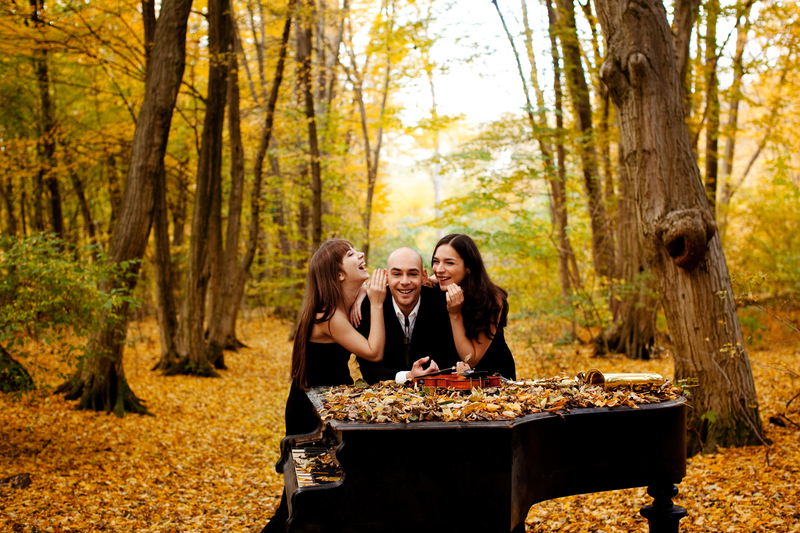 "Trio KlaViS consists of three exceptional musicians who make music with great passion on the highest level. The original instrumentation of their ensemble lends the pieces they perform a great range of colours and makes them shine in the world of classical music!" Our beloved "Vi" of KlaViS, is in the core team and is the co-founder of the Podium Festival Mödling, which had a huge success at its 2nd edition this year. The festival was held end of September and each concert of the festival had its own appealing theme. Composer and arranger Miha Ferk! Our "S" Miha Ferk's fame is rising as a composer and arranger. 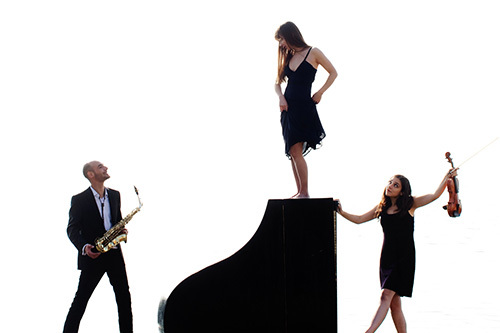 His arrangement of Kozina's Bela Krajina has been premiered by LadieSaxophone quartet in Szczecinek, Poland on the 18th of July! We are congratulating our "Kla" Sabina Hasanova for the success in her secret talent! Her drawings were published by Universal Edition, in Aleksey's new book "Horoscope Preludes" for violin and piano. 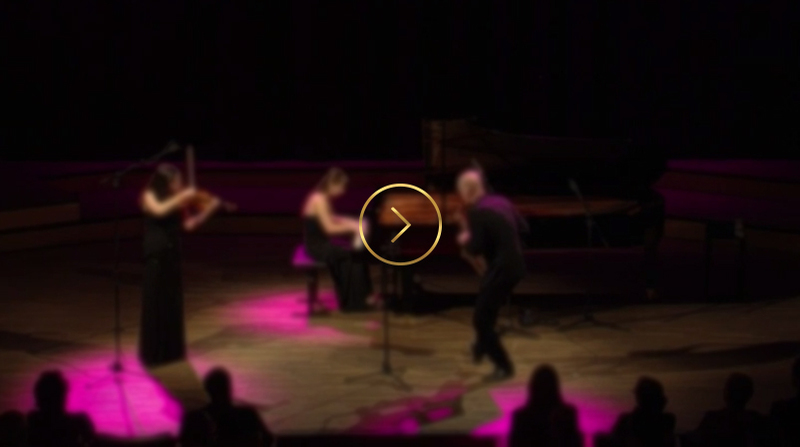 Presenting New Videos From Our Concert! 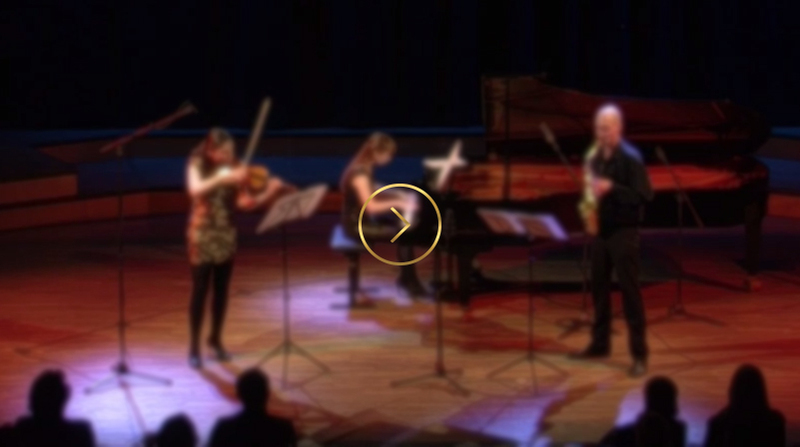 We are happy to present you some videos from our live performance at the ORF Radiokulturhaus. 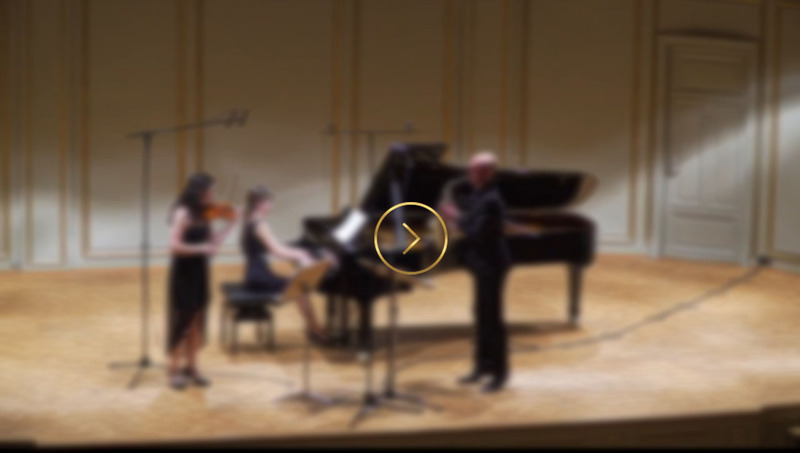 Find them on our Media page, you can listen to works by Piazzolla, Brahms, Igudesman and Khachaturian! We would like to thank Musikverein and Radiokulturhaus for having us in their halls this week. We had a great time celebrating 10 Year Anniversary of the 4 New Halls of Musikverein, playing in Metallener Saal last Saturday. And we certainly had amazing time on the stage in ORF Radiokulturhaus on the 27th of March, with our special guest Aleksey Igudesman. We were so happy to have such great audience and we did have a standing ovation! Stay tuned for upcoming new projects! 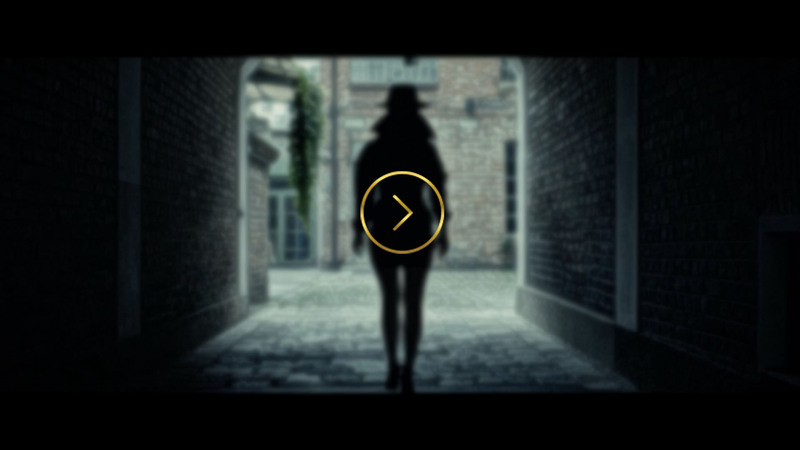 We are very happy to announce the release of our website! We hope you’ll enjoy browsing through our recordings, photos and biographies and hope to meet you soon at our next performances! Our big day is about to arrive, we go on stage in ORF Radiokulturhaus Wien together with the amazing violinist, composer and master of musical humor Aleksey Igudesman!!! We will also play the world premiere of a piece Aleksey Igudesman wrote especially for us, coincidentally called "Take It To Eleven" as well! Don’t miss it!!! 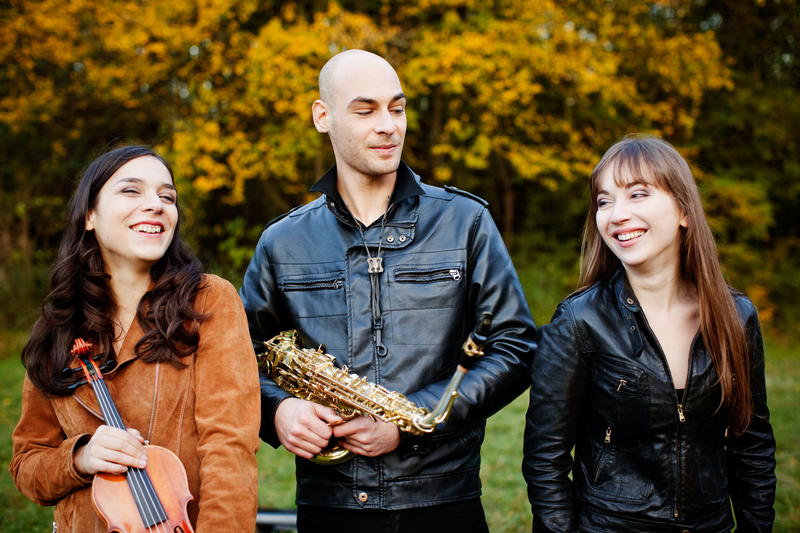 You can now follow Trio KlaViS on YouTube and SoundCloud. We have just released a new recording of Marc Eychenne's "Cantilene et Danse". 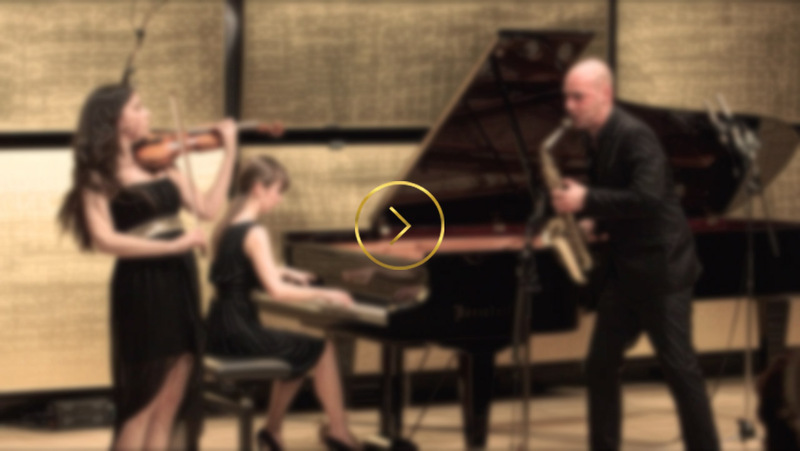 Trio KlaViS is having their debut concert in Musikverein, under the title "Take It To Eleven"! We will be presented by the renowned cycle Uno.Due.Tre, founded by Marialena Fernandes. We would love to invite you all to enjoy this event with us! Trio KlaViS is proud to present their first official music video "Reflection", written by their very own saxophone player Miha Ferk. This piece is written for 3 ladies, reflecting each character. Michael Haydn "Divertimento No. 2 MH6"
Dmitri Shostakovich "Trio Nr. 1 Op. 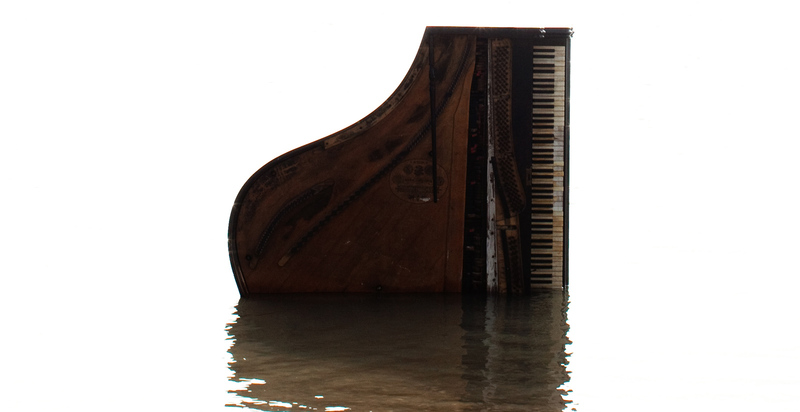 8"
You can purchase our CD "Geography Of Sound“ here. We ask for your understanding that we only ship to countries within Europe. 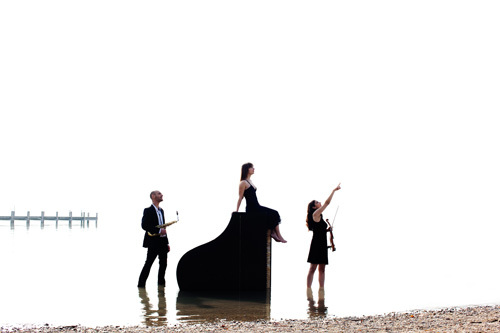 Trio Klavis has quickly established itself as an exceptional new chamber-music ensemble, attracting international attention with their unique combination of instruments and impressively diverse repertoire. 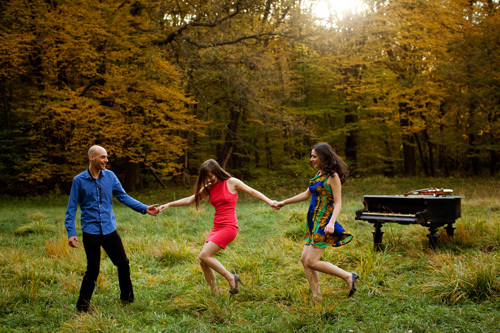 Through engaging and creative programming, Trio Klavis invites their audience on a journey through wildly different worlds of music, from the elegant classical era to the age of dodecaphony, from masterworks of the great Romantics to original works inspired by ancient folk melodies, all the while exploring new jewels of the 21st century by living composers. 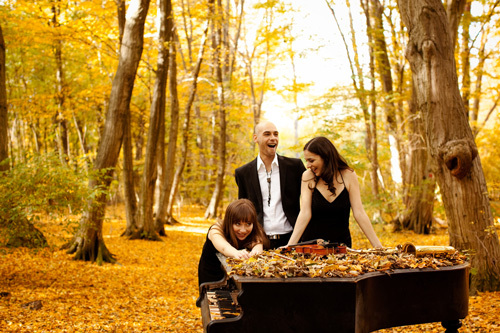 Trio Klavis has enjoyed great success with its dazzling programs on prestigious stages all around the world, including Tonhalle Zürich in Switzerland, St. Petersburg Philharmonie in Russia, Gasteig Munich in Germany, Vienna Musikverein, Allegro Vivo and Grafenegg Festival in Austria. Their international tours have brought them to many European countries as well as China, Turkey and Zimbabwe. Trio Klavis performs classical works ranging from Brahms to Shostakovich, Haydn to Rachmaninoff, alongside new arrangements and compositions of their own. They are dedicated to bringing a fresh and noble new sound to these treasured masterpieces and have already successfully convinced some of the world’s most conservative audiences. 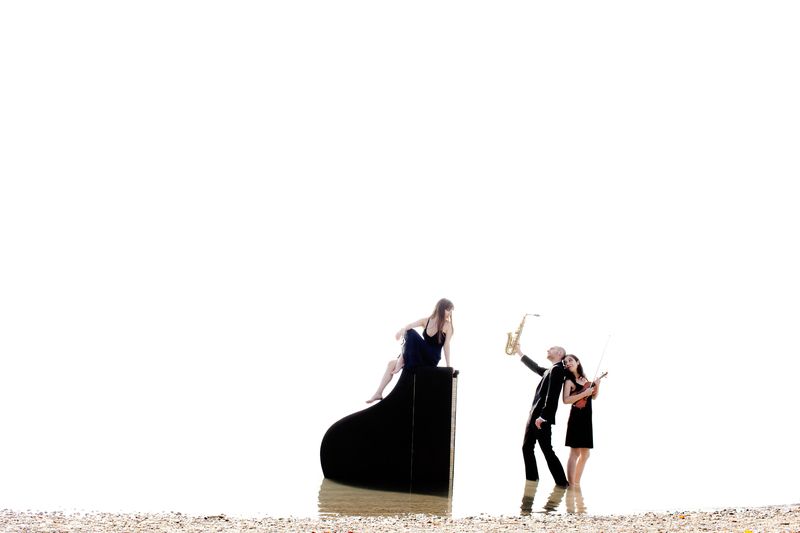 As pioneers of this unique combination of instruments, Trio Klavis passionately engages with newly written music and are determined to expand the existing repertoire for this instrumentation, securing a place for it as one of the essential formations in modern chamber-music playing. Trio Klavis regularly receives original compositions from acclaimed composers, excited to write for their ensemble. Aleksey Igudesman’s “Take It To Eleven” dedicated to the trio has been published by Universal Edition. Richard Dubugnon’s Mikroncerto lllb which he wrote for Trio Klavis has been praised as a “golden addition” to the repertoire. The trio recently produced an independent music video for Hyung-ki Joo’s “Mad For Seven” which he wrote for them, which was awarded Best Music Video by the Monkey Bread Tree Film Awards. 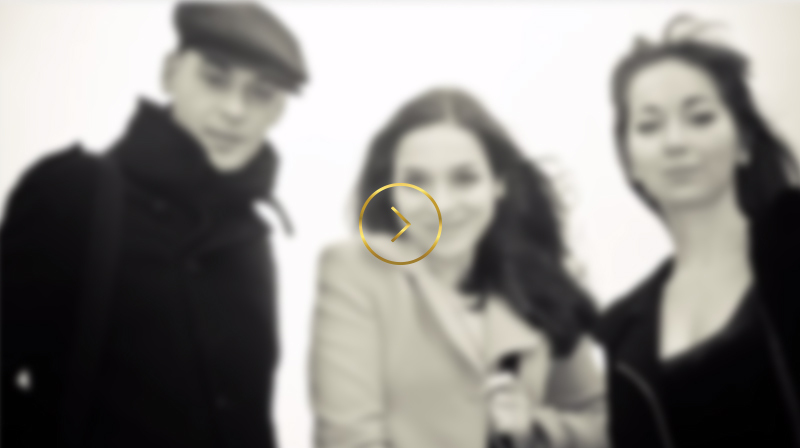 Trio Klavis are winners of the Bank Austria Art Prize, as well as recipients of the Scholarship for Music of the Federal Chancellery of the Republic of Austria. Their debut CD “Geography of Sound” was released by Orlando Records in 2016. The name Trio KlaViS derives from the German: "Klavier, Violine, Saxophon". The daughter of both a mexican mother and a viennese father, Jenny Lippl grew up in Vienna and was shaped by the city’s cultural diversity and musical richness. She started to play the violin at the age of 9 at the University of Music and Performing Arts in Graz with Regina Brandstätter. After having won national and international competitions, Jenny began her studies with Sylvia Viertel and continued with Ernst Kovacic at the University for Music and Performing Arts in Vienna. Being taught by such an inspiring explorer of musical worlds encouraged Jenny to seek inspiration and further training from different musicians, such as Gerhard Schulz, violinist of the legendary Alban Berg Quartett, Volkhard Steude, concert master of the Vienna Philharmonic Orchestra and renowned Russian violinist Dora Schwarzberg. 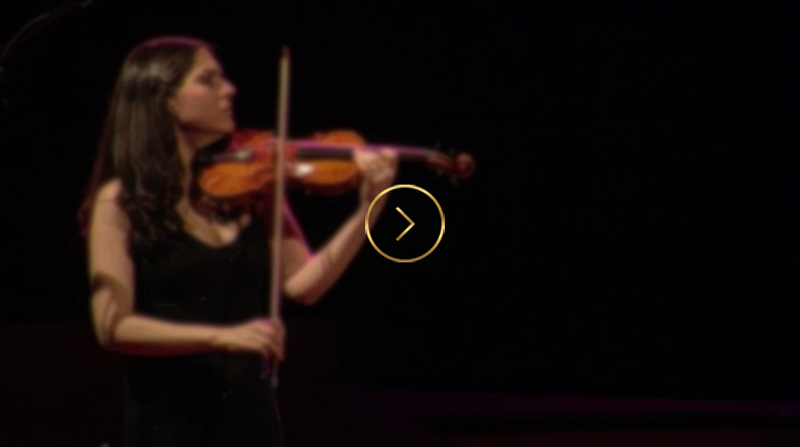 Diversity of styles became Jenny’s passion as she explored a wide range of music from Baroque to contemporary music. After receiving her diploma with distinction in 2013, Jenny began her professional career and became a co-founder of the innovative Podium Festival in Mödling which concentrates on creative programming and combination of different art forms. As part of the artistic direction team she was heavily involved in the development of the festivals character. Jenny gets invited to take part in chamber music festivals such as Podium Festival Esslingen, Kammermusik.Mariasaal, Brücken-Festival Mürz or Trigonale. At the Trigonale Festival she participated in the production of the church opera „Christophorus“ by Tristan Schulze as first violinist and even had a small acting role. In Bernd Bienerts productions with „Teatro Barocco“, Jenny has been a part of a special ensemble which plays only on historic instruments. The string parts are played by one player each which means that full operas by Mozart are delivered in a quality that is very close to chamber music, a special challenge that has been received with great enthusiasm from both audience and the press. Jenny is a part of the Baroque orchestra „Orchester 1756“, with whom she appears as a soloist and ensemble member. Her extraordinary musical creativity has also lead her to collaborate with artists such as the singer-songwriter Clara Blume and most renowned silent film narrator in german speaking countries, Ralph Turnheim, for whom she both composes and plays. 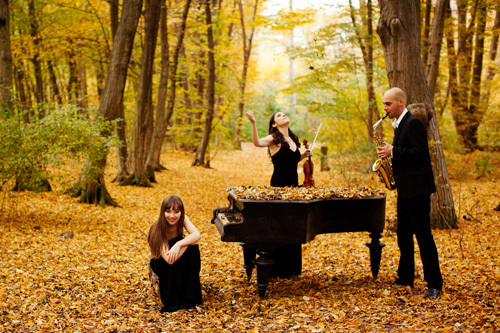 However, at the center of her work and career is the ensemble Trio KlaViS, which continues to inspire Jenny like a musical kaleidoscope of both sound and expressivity. With his broad and unique artistic portfolio, the Vienna-based Slovenian Miha Ferk can be described as an exemplary modern classical musician. Active as a composer, arranger, conductor, soloist and co-explorer of new classical sounds with his ensemble Trio Klavis, he has dedicated his life to discovering the secrets of music. Miha’s compositions consist of more than 80 original works and arrangements which are regularly performed by numerous ensembles around the world. His work Caprice for solo violin, dedicated to Dimitris Karakantas, received standing ovations in the grand hall of Megaron in Athens and was praised by the music critics of Greece. During the 2016/17 season, he was Composer in Residence at "Dora Schwarzberg’s House Concerts" where he presented new works every month. One of his earliest compositions, dedicated to Khatia Buniatishvili, Petra Horvat and Nora Romanoff entitled Reflection No. 1, is being played regularly by ensembles in Europe and Japan. Miha is also the author of the famous, provocative and experimental composition “Archetype”, in which he explores a new compositional technique based on graphic emojis. Miha also regularly dedicates himself to advancing the art of arranging, discovering extraordinary combinations of works that in turn become completely new compositions with their own character. Some of the ensembles and artists he has worked with include the Philharmonic Ensemble Vienna consisting of members of the Vienna philharmonic orchestra and lead by Shkelzen Doli, violinist and composer Aleksey Igudesman, pianists Hyung-ki Joo, Ferhan and Ferzan Önder, Signum Saxophone Quartet, Arcis Saxophone Quartet, SOS Saxophone Orchestra, Vienna Saxophonic Orchestra, Trio Sonore, LadieSaxophone Quartet and many others. Miha’s arrangement of the Tango Suite by Astor Piazzolla was published by Doblinger Editions in 2016. Recordings of his works are being broadcasted on many classical radio stations such as the Austrian national radio station Ö1, SWR2, Ars, Radio Koper and even the Mexican national Radio station Opus 94. In 2017, Miha conducted his own arrangement of Friedrich Gulda’s famous Concerto for Cello and Wind orchestra. Arranged for Solo Violoncello and Saxophone Orchestra, it was performed by the acclaimed Vienna Saxophonic Orchestra. 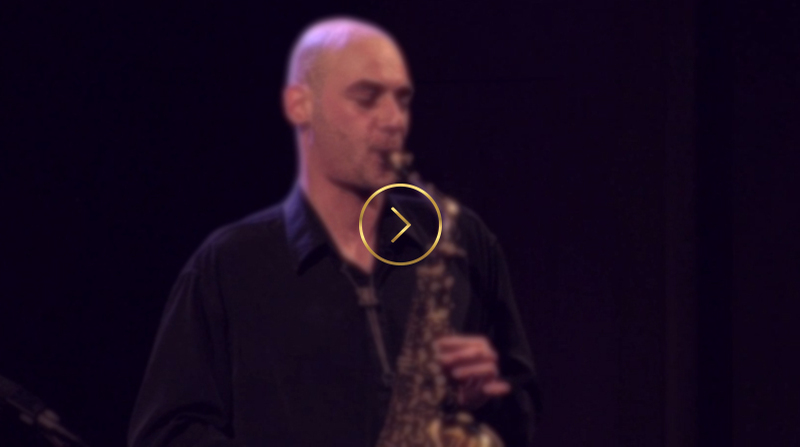 As a chamber music saxophonist he is an active member of Trio Klavis and Vienna Saxophonic Orchestra. He has performed in many established concert halls around the world. Miha is currently working on a book about his new approach to the sound of classical saxophone, including 24 originally composed caprices for Solo Saxophone. Sabina was born in Baku, Azerbaijan and moved to Turkey with her family at the age of 7, beginning to study piano with both her parents. Her father, Prof. Vasif Hasanov, student of Dmitri Bashkirov, was responsible for the majority of her training. Sabina continued her formal training in Turkey, eventually going on to receive a masters degree from the Mimar Sinan Fine Arts University in Istanbul. During the course of her studies, Sabina won numerous competitions, performed at international festivals and played as a soloist with orchestras. One of her most notable performances at this time was with the Moscow Symphony Orchestra in the Grand Hall of the Tchaikovsky Conservatory in Moscow, at the age of 14. In 2004 Sabina was one of two musicians from Turkey to receive the scholarship to attend the “Playing for Peace” Festival and summer school in Apple Hill, New Hampshire, USA. 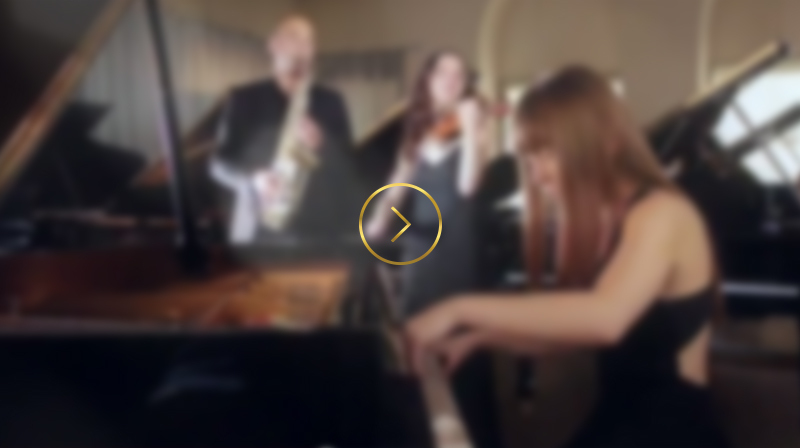 She worked with inspiring musicians such as Eric Stumacher and Kinan Azmeh. It was during this time that Sabina began to discover her potential as chamber musician. She began playing in a four hand piano duo with her sister, which had great success touring across Turkey. The duo made an appearance in Lunz am See „Wellenklänge“ Festival in 2010, collaborating with the beloved Stermann & Grissemann duo. In 2008 Sabina moved to Vienna, Austria to pursue her postgraduate studies at the University of Music and Performing Arts with Prof. Stefan Vladar. Alongside her professors, Sabina also had the chance to work with musicians such as Dmitri Alexeev, Boris Bloch, Milena Mollova (st. of Emil Gilels), Johannes Meissl, and Rolf Plagge (Mozarteum). Sabina was closely involved in the production of the award-winning music documentary Noseland, directed by Aleksey Igudesman and starring Julian Rachlin, John Malkovich and others. Since then, she has been regularly involved with writing, producing and editing video and film projects. 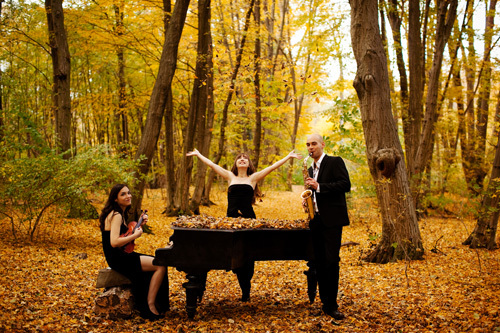 She specializes in classical music videos, producing for her ensemble Trio Klavis and others. Her video Mad For Seven went on to win best video at the Monkey Bread Tree Awards in 2017. Sabina has had drawings published by Universal Edition and is currently working on a children’s book and a mobile game based on an animated character of her own creation. Additionally Sabina is working as the head of external relations for the innovative online platform Music Traveler, which provides practice rooms for musicians all over the world. In a program of mystic beauty, Trio Klavis lets their audience experience the contrast of light and dark; delight and sadness; illusion and reality. Darius Milhaud depicts the creation of the world according to African mythology in “La Creation du Monde”, alongside works by Dmitri Shostakovich, Ernst Krenek. In the legendary movie "Spinal Tap" the volume levels go up to eleven, one higher than the usual ten. 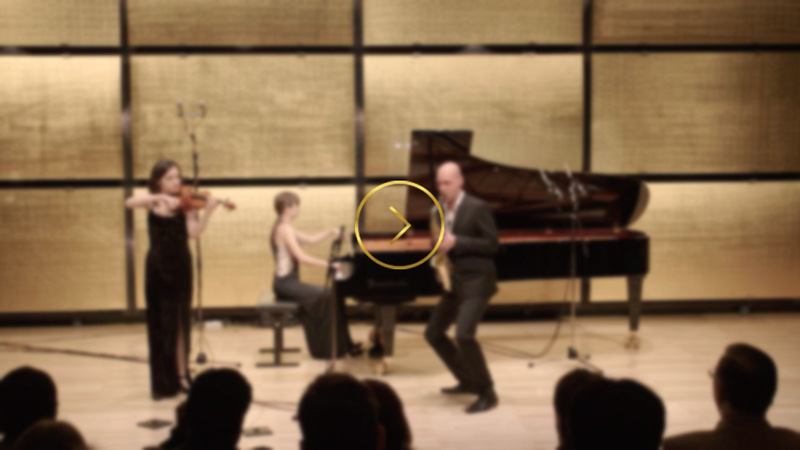 Fast and furiously, Trio Klavis steps out of the safe zone and takes the audience on an adventurous ride that starts from works of Johannes Brahms, Marc Eychenne and goes through works of Astor Piazzolla and the highly explosive "Take It To Eleven" by Aleksey Igudesman, written exclusively for the trio. The real world gets left behind for a while with this truly reflective Trio Klavis program. Carried away through the magical "Reflection No. 1" written by their very own saxophone player Miha Ferk and deeply moved through master pieces by Sergei Rachmaninoff and Heitor Villa-Lobos, the audience may find themselves somewhat less troubled when touching ground again. 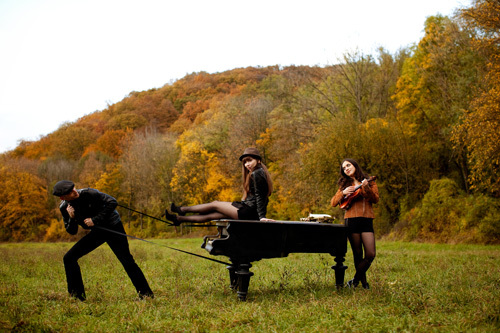 Trio Klavis embarks on a unique musical journey through the various homelands of its members, such as Azerbaijan, Turkey, Mexico, Russia, Austria and the Balkan countries. The trio's thirst for new musical experiences knows no limits. 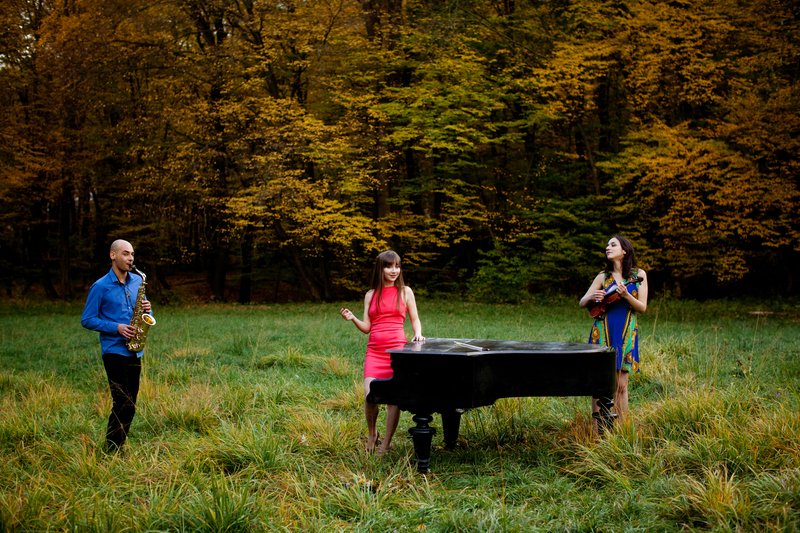 Folk songs arranged by all the members of the trio stand next to works of classical composers, such as Ryuichi Sakamoto, Aram Khachaturian, George Gershwin and Arturo Marquez. The program consists exclusively of works that have been written for or dedicated to Trio Klavis, including works by acclaimed composers such as Aleksey Igudesman, Richard Dubugnon, Hyung-ki Joo, Miha Ferk and Donald Yu. This program shows the fascinating wide range of music of early 21st century, all works being originally written for this instrumentation. Whatever a concert hall, a presenter or festival may have on their musical wish list, Trio KlaViS is happy to use their creative skills to tailor-make a program for any concert theme. Requests and commissions of special arrangements are always welcome.